With technical upgrade and full redesign, we reinvented the running game for these running experts! 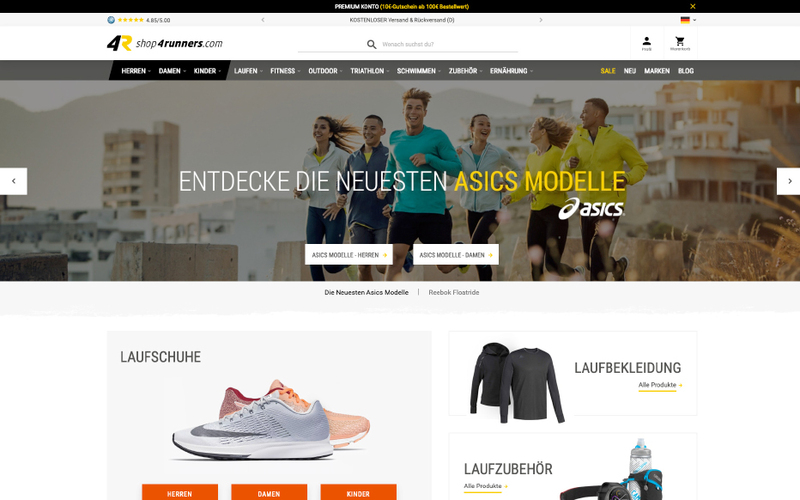 shop4runners.com isn’t ”just” another online store for running sports. It’s run by a small team running specialists who focus on offering fashionable running products, professional advice, performance diagnostic, and everything else you might need to become a better and injury-proof runner. In 2018, we headed off to Germany for a joint workshop. Inchoo’s CEO, Project Manager, Backend Developer, and Designer went to Pforzheim and met with everyone from shop4runners. The workshop was productive. We discussed business face-to-face, saw their work enthusiasm, and felt firsthand that they truly live what they preach: running. The whole team runs a few times a week, some of them even run every day, and test the products that they offer in the store! When you contact their customer support, you will learn the reasons why the sneakers you’ve chosen are a good or bad choice for your running style. They will do their best to truly understand why you should maybe order a size bigger than the usual size that you wear, and how you will benefit from that. We were inspired by their attitude and customer nurturing, and we challenged ourselves to transfer those values online, to a new store. We saw from the beginning that one of our major strengths can be fully used in this project. Our consulting services. It’s great to have a merchant with such expertise in the products they are selling! But they need guidance. And that’s ok! That’s what we’re here for. To be a partner who will guide them through challenging eCommerce road to success. To consult, design, and develop. To be a merchant’s best friend! Our designers don’t rely only on the creative spark, but also do the heavy data crunching and dig deep into researching users before making UX decisions. That’s why we started with identifying the challenges users are facing while interacting with the store. We saw that 95% of customers left a positive comment after the checkout process. 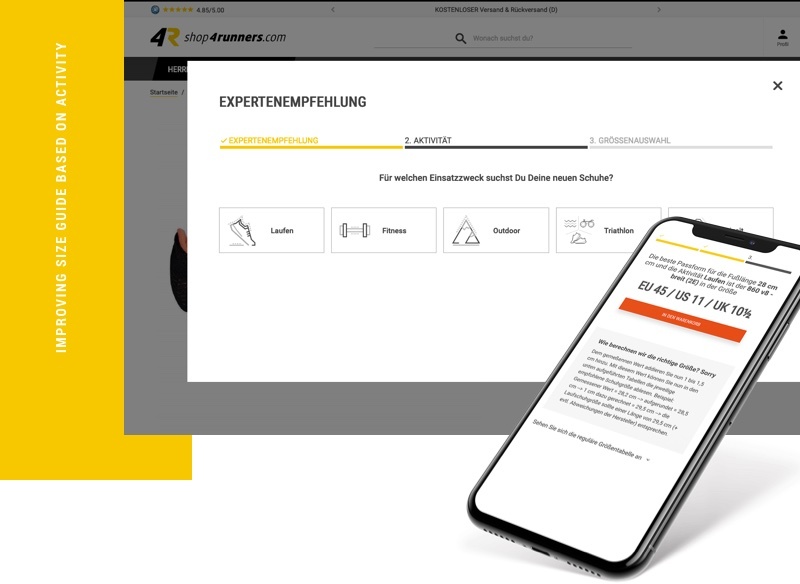 Google Analytics and Hotjar analysis showed us how visitors use the existing store and what are the UX challenges they are experiencing in the purchase and browsing process. By creating User Personas with their User Flows, we’ve gotten a chance to evaluate how shop4runners users navigate through the store. The gathered data helped us indicate where are the UX issues that needed to be fixed for achieving a smoother sales process. Some workflows needed to be updated with more information to help users make a good decision, others needed less, to avoid distraction. To be even more effective in planning and designing the store, our design process includes the development of mood boards. This online store was no exception. The mood boards had a significant role in the overall style guide, UI design, and interactive prototype. They helped us craft the overall experience users encounter throughout the website and put out the vibe that true running experts are behind shop4runners! Take some time to look at the full redesign process at Behance! The process of building a new website started with technical and design analysis of the existing store. The results gave us insights that were a great starting point for the results we want to reach in the future. To achieve all that, we started with the development of the entire navigation structure from the ground up. It also included showcasing products and grouping them in a way that our previous analysis showed would work best, by mixing categories and attributes. The site is now divided according to type of activities you need gear for and by basic demographics (men, women, children). There’s a full section on the homepage, dedicated to the profiles of shop4runners experts where they share personal running experiences, pieces of advice, and personal records in half marathons and marathons. It later leads you to their full personal blog post and overall blog, where they can show their expertise in running related content, and maybe the best part, tests of running equipment they offer in stores. Decreasing of return rates called for the development of a complex new shoe size feature. To help the customer buy the right size shoes, we established the following method on the product page: through pictures and description, we show how to accurately measure the foot size in centimeters. After the customer enters his exact foot length, they have an option to pick an activity they want to use the shoes for. The system then tells them what is customer’s recommended size for that activity, and also educates them why it’s better to wear one size bigger shoes for running. The final step puts the customer’s proper fit shoes in the cart. Educational, easy to use, and accurate feature for customers to be happy with their purchase! We also developed a custom shoe advisor widget, which recommends the collection of shoes according to gender, shoe size, and activity. It’s great to use for customers who want to get almost instant search results for very specific products they are looking for in their size. All our of our initial analyses paid off! That’s why it’s important to leave enough space for the discovery phase, that is determined to face the complexity of development project like this one. We are working with Inchoo for over 5 years and we are really happy with our collaboration. We were especially pleased that the team working on our project joined us in our offices in Germany for a planning phase of the new project. Their organization and work are top levels. 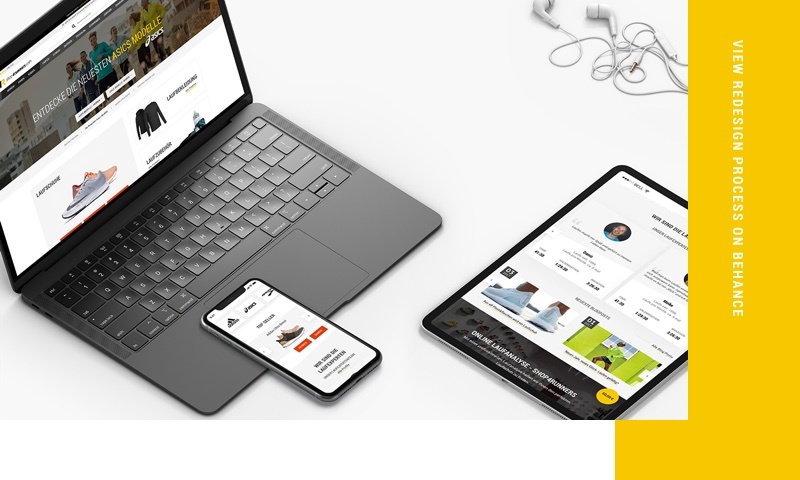 We are really happy to have such an amazing technical partner on our side and we are sure that Inchoo will help us to grow further in our eCommerce strategy.